Radical Neurodivergence Speaking: Both of these things are GABA! 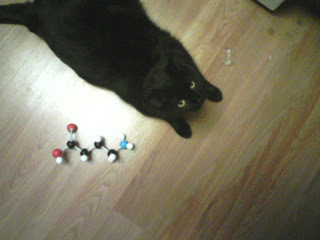 I think I had that molecular model kit, or one very much like it, when I was younger. Has anyone done a blogpost about auties and their cats? Because if not, I'm going to do one.